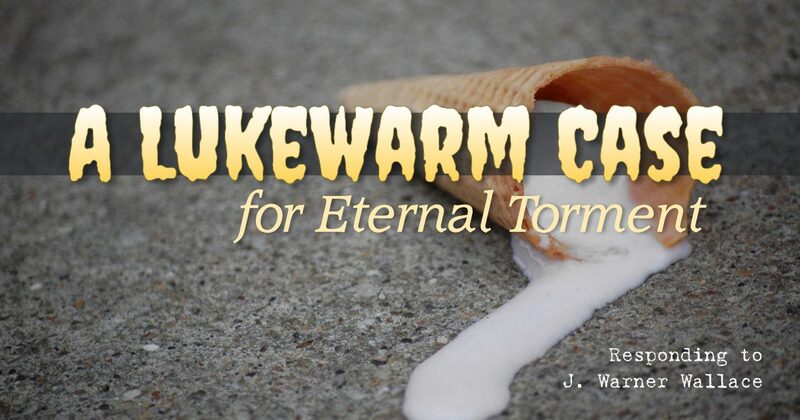 Recently, well-known Christian apologist J. Warner Wallace penned an article for his website, Cold Case Christianity, in which he offers a case for the appropriateness of eternal conscious torment.1J. Warner Wallace, “Why Would God Punish Finite, Temporal Crimes in an Eternal Hell?,” Cold-Case Christianity [website] (accessed September 20, 2017), http://coldcasechristianity.com/2017/why-would-god-punish-finite-temporal-crimes-in-an-eternal-hell/. Mr. Wallace is a former homicide detective whose apologetic works include the best-selling Cold Case Christianity. The impetus for his article, “Why Would God Punish Finite, Temporal Crimes in an Eternal Hell?” came from a caller on a radio show who questioned Wallace over the justice of eternal torment. How could this be proportionate, they asked, in light of only a finite human life lived in sin? In his article, Wallace takes the opportunity to address what he deems “misunderstandings” of several principles regarding the final state of the wicked. Below, I will address Wallace’s four “misunderstandings” and attempt to show that they hardly create an open-and-shut case for eternal torment. In this point, Wallace attempts to make the traditional view of Hell more palatable by removing God and the angels as active torturers of the damned. The damned, rather, are “tormented” by the memories of their past wrongs and, perhaps, by the knowledge of what they have lost by rejecting Christ’s salvation. There are several problems with this. First, the key biblical text here is Revelation 14:10, but Wallace doesn’t adequately deal with it. It says that any worshiper of the beastly figure will “drink of the wine of God’s wrath, poured full strength into the cup of his anger, and he will be tormented with fire and burning sulfur in the presence of the holy angels and the Lamb.” This is certainly “dramatic, illustrative language,” but is it really a straightforward illustration of Wallace’s example of someone who is “in constant torment over a decision made in the past”? Let’s say that someone stole a person’s life savings, and later deeply regretted it. In the Scripture, burning fire and sulfur is the cause of torment, so what does that represent here—the sin of stealing? If so, how can this be a result of God’s actively poured out wrath, as in the biblical picture? How is it also a consequence of worshiping the beastly figure, which in the biblical equation clearly represents a major sin. Upon analysis, the simple self-inflicted model does not map well to the elements of this verse. The verse would make a very poor illustration of internal anguish over bad decisions. when the soul of the wicked is forced to go out of the body, angels of Satan presently receive her; and, binding her roughly with chains of fire, and forcing her still more roughly on from every side, hurry her off to the torments of that hell where Satan, plunged in the pit, lies deep and low, where there is weeping and gnashing of teeth, where ‘fire and brimstone and storms of wind is the portion of the cup of sinners’. Then the infernal king, Satan himself, clutching her in his grasp, and belching on her a breath of loathsome fire, orders her to be pinioned by his satellites, and, thus bound, to be cast into the midst of the tormenting fires, there to be tortured without end with them, there without end to die undyingly for very grief.6Anselm, Saint Anselm’s Book of Meditations and Prayers (Burns and Oates, 1872), 65–66. When thou diest thy soul will be tormented alone—that will be a hell for it—but at the day of judgment thy body will join thy soul, and then thou wilt have twin hells, body and soul shall be together, each brimfull of pain, thy soul sweating in its inmost pore drops of blood, and thy body from head to foot suffused with agony; conscience, judgment, memory, all tortured, but more—thy head tormented with racking pains, thine eyes starting from their sockets with sights of blood and woe; thine ears tormented with “Sullen moans and hollow groans. And shrieks of tortured ghosts.”8Charles H. Spurgeon, “The Resurrection of the Dead,” in The New Park Street Pulpit Sermons, vol. 2 (Passmore & Alabaster, 1856), 105. Wallace is then left in the awkward position of standing against a long line of traditionalists who clearly use torture in their descriptions of the fate of the damned.9For a more in-depth discussion of this topic, see Ronnie Demler, “Torture,” Consuming Fire [blog], posted October 5, 2012 (accessed September 20, 2017), https://conditionalism.net/blog/2012/10/05/torture/. Third, for one espousing the traditional view, Wallace holds to a picture of the torment of the lost that is very different from the majority view taught through most of the history of the Church. As has been argued elsewhere, while the “less fiery” view of Hell has many modern proponents, reducing the suffering in Hell to regret, sadness, or mere separation, finds little historical, and almost no scriptural support.10Joseph Dear, “The Not-So-Traditional View: Does Your Particular Belief About Hell Really Have Church History On Its Side? (Part 1),” Rethinking Hell [blog], posted July 9, 2016 (accessed September 20, 2017), http://www.rethinkinghell.com/2016/07/the-not-so-traditional-view-does-your-particular-belief-about-hell-really-have-church-history-on-its-side. Apologists (and all believers but apologists especially) need to be sure to devote a lot of attention to theology and the teachings of the Bible. Because apologetics is about defending what we believe, it can easily overlook critical thinking about what to believe in the first place. So, when we read C. S. Lewis or someone else saying that hell is really a sadness chamber locked from the inside, if we have only a superficial understanding of what the Bible says about hell, we will think to ourselves, “You know, what Lewis says makes sense because not everything is literal,” without considering the full range of biblical data about the fire, or about whether the damned would really rather miss out on heaven. Then you spend all of your time defending a hell that is not only unbiblical, but is even less biblical than the historical view of hell as a place of fiery torture. Here, Wallace points out the obvious fact that the time spent in the commission of a crime has little to do with the duration of the punishment. Though he doesn’t make a direct argument here for the eternal conscious torment of the unredeemed, he implies that those who believe annihilationism make the error of equating the duration of the offence with the duration of the penalty. Even ignoring that this is a straw-man argument, there are several glaring problems. The first problem here is that the argument contradicts itself. A petty embezzler spending a little time in jail, and someone being put to death for a murder are not (as Wallace might argue) merely different in terms of duration. They are wholly different in the nature of the punishment. Jail time, even a life-sentence, affords the offender opportunity to repent, to reform, or to stew in their misery. Execution, however, takes the ultimate step of the cessation of life. The offender can no longer be a menace to society, and is deprived of the pleasure of living. Second, comparing the death penalty with eternal torment is really self-defeating, in that an execution lasts for seconds, or minutes, then it is over. It is eternal in its effect, to be sure. But it is not eternal in experience, so the comparison is really a false one. Third, the point fails to answer the proportionality question that many ask when they are thinking about the doctrine of Hell. If one is going to say that a person’s sins, however heinous, merit conscious torment for all of eternity, then comparison to any punishment man has dreamed up for crimes on this earth falls short, for they all end. In reality, Wallace’s points 2, 3, and 4 ought to be 2a, 2b, and 2c, for together they constitute Anselm’s age-old argument from Cur Deus Homo that God’s infinite justice demands infinite restitution for offense against His infinite dignity. This point is, perhaps, the most egregious in Wallace’s article. Here, the author tries to say that eternal torment is just because our sins are against God, the highest authority in the universe, and that the magnitude of the One sinned against increases the magnitude of the just punishment. The first glaring issue here is that Wallace’s argument is poorly executed. While he attempts to argue, as I have stated above, that God’s majesty increases the punishment merited by sin, he actually argues that the punishment is dependent upon who caught the criminal. The attempt is in line with Anselm’s argument (as with “Misunderstanding 2”), but in the author’s hypothetical, the crime committed was the same—cheating on one’s taxes. The only difference was one of who found out. He ought to have argued for crimes against differing levels of authority—like stealing a candy bar from the grocery store versus stealing gold from Fort Knox. Instead, his execution makes an already poor argument worse by its inaccuracy. eds. Stanley N. Gundry and William Crockett (Zondervan, 1996), 152. Nevertheless, this millennium-old argument is what Wallace has rested his case upon in this article. Unfortunately for him, it provides a less-than-firm foundation. In this fourth point of his article, Wallace levels the accusation that those who hold to a view other than his underestimate the gravity of sin. He supposes that one who understands the seriousness of rejecting Christ must certainly understand that the eternal conscious torment of the wicked is not only appropriate, but required of a Holy God. Three things must be said about this. First, there are indeed those who downplay or dismiss the enormity of sin’s offense against God. Some (often outside the Christian camp) reason that a God who requires complete allegiance would be nothing less than a capricious despot. Still others reason that God’s love is paramount, and that it will temper His justice, or that man’s limited understanding somehow excuses his sin. This, however, is not a view in line with the testimony of Scripture. Second, arguments for annihilationism are often buttressed by the understanding that sin is infinitely heinous—an outright rebellion against the sovereign of the universe. This is a straw-man argument often employed by those who argue against annihilationism, and it is wholly unbecoming in Christian dialogue. To downplay the seriousness of sin, or to have a low view of the authority of Scripture (another favorite arrow in the quiver of anti-annihilation apologists) is a serious thing. Annihilationists don’t downplay the seriousness of sin. Rather, we just don’t accept unbiblical philosophical arguments that the seriousness of sin therefore means the unsaved will suffer eternal torment, especially when the Bible seems to say otherwise. Third, this misstep on Wallace’s part appears to originate in a presupposition that eternal torment is a worse punishment that annihilation. The reasoning seems to be that 1) sin is infinitely grievous and thus deserves the worst possible punishment, 2) the most terrible punishment possible would be to be tormented for all of eternity, 3) eternal conscious torment is the only punishment that “fits the crime.” What Wallace does not seem to understand is that, in the mind of many, the complete cessation of life, the blotting out of existence, is the ultimate punishment. According to some people like Augustine, annihilation is a more severe, more undesirable penalty than eternal torment, and therefore one could argue that annihilationists take sin even more seriously than their traditionalist counterparts.13Augustine, The City of God 11.26.1. It is no coincidence that governments around the world and across millennia have reserved capital punishment for the most heinous of crimes. So, if one is simply looking to find the worst possible punishment to hang their theological hat on, there is certainly a compelling case that annihilation fits the bill. The conclusion of Wallace’s article begins with a statement that is both unqualified and unsupportable. Time after time, the Bible describes the fate of the lost using terms like “die,” “perish,” and “destroyed.” The end of the wicked is placed in contrast to the receiving of eternal life (e.g. John 3:16). Let’s not equivocate on this. The Bible has plenty to say about those who reject the atoning work of Christ and die in their sins, and the overwhelming majority of these passages speak in terms of the cessation and ongoing privation of life. An extensive list of those Scriptures indicating annihilation, as well as those used by proponents of eternal conscious torment, may be found under the “Scriptures” tab at http://www.rethinkinghell.com/explore/. J Warner Wallace’s article in defense of eternal conscious torment is presented as a clear case for the doctrine. Unfortunately, the arguments it makes are very thin, not only because of their brevity, but also because very little evidence (scriptural or otherwise) is offered to support them. While Wallace appears to be very adept at solving crimes, the only court in which this case, as presented, would gain a hearing, is one made up of those already convinced of the traditional view of hell. 2. ￪ Cyprian, Treatise V: An Address to Demetrianus 24. 3. ￪ Augustine, Concerning the Nature of Good, Against the Manichaeans, 38. 4. ￪ Ewald M. Plass, What Luther Says: An Anthology (Concordia, 1959), 2:627. 5. ￪ John Calvin, Institutes of the Christian Religion, ed. John T. McNeill, trans. Ford Lewis Battles (Westminster John Knox, 2011), 1:1007. 6. ￪ Anselm, Saint Anselm’s Book of Meditations and Prayers (Burns and Oates, 1872), 65–66. 7. ￪ Jonathan Edwards, The Works of Jonathan Edwards, vol. 2 (Banner of Truth Trust, 1974), 88. 8. ￪ Charles H. Spurgeon, “The Resurrection of the Dead,” in The New Park Street Pulpit Sermons, vol. 2 (Passmore & Alabaster, 1856), 105. 9. ￪ For a more in-depth discussion of this topic, see Ronnie Demler, “Torture,” Consuming Fire [blog], posted October 5, 2012 (accessed September 20, 2017), https://conditionalism.net/blog/2012/10/05/torture/. 10. 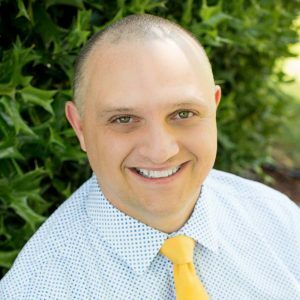 ￪ Joseph Dear, “The Not-So-Traditional View: Does Your Particular Belief About Hell Really Have Church History On Its Side? (Part 1),” Rethinking Hell [blog], posted July 9, 2016 (accessed September 20, 2017), http://www.rethinkinghell.com/2016/07/the-not-so-traditional-view-does-your-particular-belief-about-hell-really-have-church-history-on-its-side. 11. ￪ Graham Ware, “Clark Pinnock, Hell and the Holiness of God,” Rethinking Hell [blog], posted December 20, 2014 (accessed September 20, 2017), http://rethinkinghell.com/2014/12/clark-pinnock-hell-and-the-holiness-of-god/; emphasis in original. 13. ￪ Augustine, The City of God 11.26.1.